Defying the trend of caution and restraint in some sectors of industry, Mudra Institute of Communications, Ahmedabad (MICA), India’s premier B-School in Communications Management, registered a 100% placement for the 18th Batch of its flagship PGDM-Communications that passed out last week. A total of 158 students from a batch of 161 opted to be placed through the Institute’s Campus Placements process called ‘MICAlibre’. 80 companies visited for placements, making an average of 2 offers per student. There were 6 offers at the highest salary level of Rs.19.6 lakhs p.a. CTC this year, which was marginally higher than last year’s single offer at 19.5 lakhs. The average salary crossed 9 lakhs for the first time to be at 9.2 lakhs this year against an average of 8.5 in 2012. The students also had good PPO and lateral offers this year, with 19 of them being placed by these processes itself even before the start of the placement season. The average salary for them was 11.75 lakhs. The largest intake was from Consulting, Media and Advertising companies, closely followed by FMCG, Digital/e-commerce, MR & Analytics, Automobiles, BFSI, Entertainment and Retail. Government/PSUs like ONGC made their presence, as also companies from Sports, Gaming, Entertainment/Events, Technology/ITES, Watches & Jewellery sectors. This year, again, another leading educational institute chose to recruit from MICA for its marketing function. Even for Summer Internships, MICA witnessed a surge in companies on Campus, particularly in the Digital and e-commerce segment. The highest internship offer was at 1.5 lakhs. Commenting on placements this year, Dr. Nagesh Rao, President & Director, MICA, said, “The industry, across verticals, is attaching a premium to the value that MICAn’s bring in, especially in their ability to focus on innovative, creative solutions and multiple bottom-lines - with equal emphasis on financial, cultural and human quotients. Mudra Institute of Communications Ahmedabad, was established in 1991. In its relatively young history, it has helped produce and nurture outstanding students, many who currently hold senior leadership positions in India and abroad. 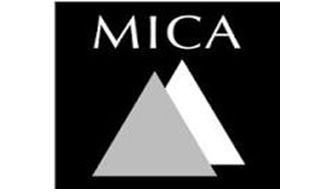 Today, MICA is the most dynamic and academically engaging communications management school in India .It is the alma mater of professionals serving in marketing, marketing research, advertising, media and communications-driven businesses and industry.